Howard County, MD offers plenty of things to keep you busy. At the end of the day, though, there’s nothing better than unwinding in front of a crackling fire with the peace of mind that your fireplace and chimney are performing as intended. Fortunately, All Pro Chimney service provides that best chimney sweep and inspection services in Howard County. Here at All Pro Chimney Service, we offer professional chimney services at competitive prices. Why Homeowners in Howard County Choose All Pro Chimney? As a family-owned business serving Howard County and the surrounding areas, All Pro Chimney Service core values: Honesty, Integrity, Commitment, Excellence, and Education are part of the reason why we exceed every homeowner’s expectations. Focused on protecting homeowners most valuable investment, their home. When Should You Have Your Chimney Swept? 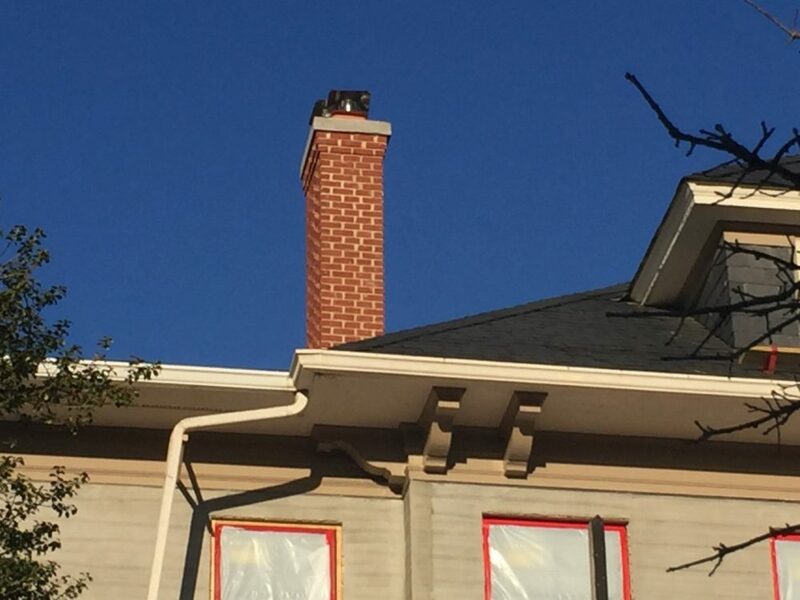 According to the recommendations released by the National Fire Protection Association (NFPA), every Howard County homeowners should plan to have their chimney inspected on an annual basis, and swept as needed. It is highly recommended to hire a professional chimney sweep company to service your home. You should know that All Pro Chimney has vast experience providing chimney sweep services in Howard County. At All Pro Chimney Service, we pride ourselves on providing Howard County homeowners with excellent customer service. Our service starts with the chimney service technician arriving on time. The technician follows a detailed process to ensure that nothing is overlooked. First, we protect our work area with drop cloths to keep the mess as contained as possible. We conduct a Level 1 chimney and flue inspection to determine the condition of your chimney flue. As we are inspecting your chimney, we will document our process by taking pictures. A Level 1 inspection is charged if your home’s chimney does not require a sweep. IF we find that your chimney needs to be swept, we will clean the chimney. We will be sure to make a note of any potential hidden hazards within your flue system. If repairs are needed, we will explain what we found and review the suggested repair options with you. At All Pro Chimney Service, we provide a full spectrum of chimney inspections to meet the needs of all Howard County homeowners. This ensures that you receive the services you need without having to pay for those that you don’t. Level 1 inspection is the initial inspection that each customer receives. We use it to determine the integrity of your chimney’s structure and the presence of creosote and other substances. Level 2 Inspections occur whenever the fuel type is changes, or a new heating appliance is installed. Level 2 inspections are also required before selling your home. We strongly recommend requesting a Level 2 Inspection on a property which you are interested in purchasing. A Level 2 inspection uses the Level 1 inspection as a foundation. During a Level 2 inspection, we also enter your home’s crawl space, attic, and basement. We might also conduct a video scan of your home’s flue systems. Level 3 inspections are performed if we find something during our Level 1 or Level 2 inspections that need to be inspected more closely. A Level 3 could include opening or removing an interior wall to access hidden parts of the chimney.